2. If you've misplaced your 2016 comments, you can look them up/search by name here. 3. Click here for an Objection template we've simplified for you in Word format - or - Click here for the FS's lengthy Objection instructions and a template in rtf "rich text format." 4. Either template in step #2 includes instructions on how to file your Objection. Be sure it is postmarked, faxed or emailed by February 12! 5. DON'T BE INTIMIDATED if the template prompts seem redundant. The gist is to let the Forest Service know what you object to, why, how you want it fixed, and how that relates to your 2015 or 2016 comments (which likely already told the FS how you wanted the Plan fixed). Don't be afraid to repeat yourself. 6. Here are a number of facts that may help you write your objection. You can cut and paste, rephrase them as you wish, or simply write from your heart. They will save you reading 3,000 pages of documents. It is very helpful to mention that you live next to or use specific areas on the Flathead NF, especially areas you may have mentioned in your prior comments, but you are a "co-owner" of the Flathead even if you've never visited and have the right to file an Objection over its management! a. The Forest Plan and Final Environmental Impact Statement (FEIS) fail to mention that the 1988 Noisy Face Biological Opinion prohibits the marking of motorized routes on-the-ground in Krause Basin. The intention was to phase out motorized use. b. Planning Record #00172 (Ake 10/15/15) clearly states that, under the existing Forest Plan Amendment 19: "All motorized trails in Krause Basin would need to be closed." c. The Forest Plan and FEIS do not mention Swan View Coalition's 3/6/15 60-day notice of intent to file suit or the Flathead's 4/29/15 response promising motorized "routes will not be marked on the ground" in Krause Basin. d. The Forest Plan and FEIS do not mention the 98-signature petition submitted 5/14/15, asking for Amendment 19 to be implemented in Krause Basin and the motorized trails closed to motorized use. e. Only one letter was submitted to the Flathead asking for designated snowmobile routes in Krause Basin, and that so all other routes would be secured for cross-country skiing. It is consistent with Swan View Coalition's proposal to allow snowmobiling to continue on the Peters Ridge and Strawberry Lake Roads. f. A word search for "Krause" in FEIS Appendix 8's Response to Public Comments reveals not a single comment asking for summertime motorized use of the old roads and trails in Krause Basin. g. The Forest Plan would allow logging in Krause Basin and offers no protection for the unique hemlock forests found there, except along the quarter-mile Krause Basin nature trail. h. Swan View Coalition and others want motorized use of the old road and trail routes banned and allowed only on the Peters Ridge and Strawberry Lake roads. These two roads provide access to trailheads and snowmobile access, which some use for skiing on Peters Ridge and in Spider Bowl. And we want full protection for the unique hemlock forests found in Krause and Echo Creek basins. i. Of the nearly 34,000 comments received by the Flathead, 98% wanted Alt. C modified to include the Amendment 19 road and trail management program from the current Plan. This most closely approximated the Citizen reVision submitted by Swan View Coalition and Friends of the Wild Swan. 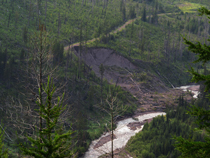 It would decommission another 520 miles of old logging roads, close more trails to motorized use including in Krause Basin, and recommend 507,000 acres as wilderness to better secure and connect core wildlfie habitats. j. The Forest Plan, Alternative B-modified, recommends only 190,000 acres as wilderness, reduces the size of the recommended Jewel Basin wilderness by 3,500 acres to allow mountain bikes, and similarly segments the Bunker Creek addition to the Bob Marshall with a bike route smack down its middle. Whereas Alt. C would provide a continuous stretch of recommended wilderness along the Swan Crest, the Forest Plan instead hacks it all to pieces and omits the vast majority. k. Recommending only 30% of wilderness-suitable lands as wilderness and designating Krause Basin a Focused Recreation Area with marked motorized routes is at odds with the facts, environmental laws and overwhelming public comment. The American public expect much better of this flagship Forest. It should lead the nation in conserving the fish, wildlife and wildlands that also benefit people. 7. Click the following if you wish to revisit the information we provided you about Krause Basin in 2015, the proposed Forest Plan in 2015, or the draft revised Forest Plan in 2016. 8. 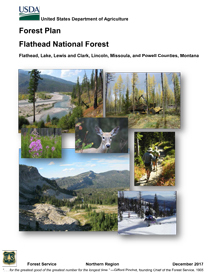 If you are either a glutton for punishment or keenly interested in the details, visit the Flathead Forest Planning page that provides 3,000 pages of documents and maps, along with more detailed instructions on how to file an Objection or otherwise stay involved in forest planning.